rotary one and in the opposite direction. connecting-rod axe to crankshaft axe, superficial adhesion of the slide parts of the connecting-rod is being retained. 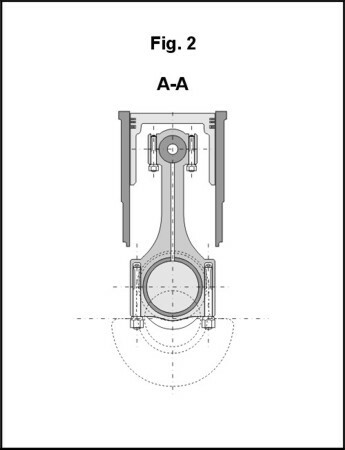 the connecting-rod and its cap sides during connecting-rod turning. the piston. 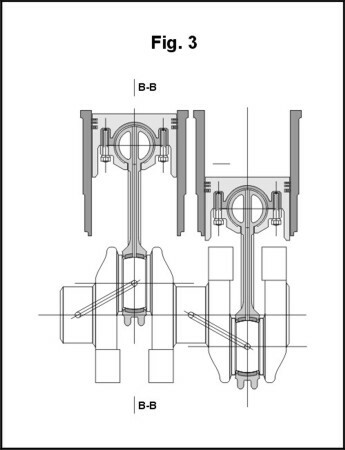 The inside part of side parts 12 of the connecting-rod 7 may be of shape of the truncated cone. connecting-rod 13 and its cap 14 sides during connecting-rod 7 turning. 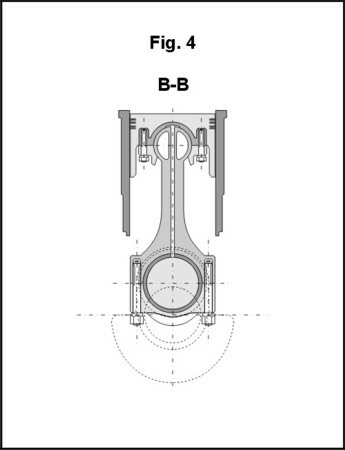 spherical head 23 of the connecting-rod is fastened to semicircular piston 20 bearing 22 by means of the screws 25.
the connecting-rod 28 and its cap 29 sides during connecting-rod 24 turning. version two. Pic.4. - Presents intersection B-B from picture 3.